Vaping. We have HEAPS of our kids vaping in their backyard and attempting to vape even in school bathrooms and classrooms. How much do you really know about vaping? Well, I’m going to give you the down low on what you need to know about vaping and your teen. The more we know, the stronger and safer we are. 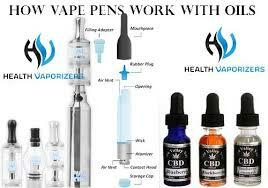 Whether it’s an e-cigarete or a vaporizer, vapor is produced by the heating of the oil, juice or herb in the vape’s chamber. We have kids picking up a vape who have never smoked anything before. Why? It’s often seen as a form of stress relief or like it’s a cool thing to do. There are kids vaping juice that does not contain nicotine or thc (marijuana) with the main ingredients being vegetable glycerin, flavoring and water. We have tons of kids who vape nicotine, some ingesting up to a pod+ a day. One pod is equivalent to a pack of cigarettes. So this results in kids becoming edgy, having stomach aches and hooked on some disturbingly high levels of nicotine. The last camp (which is a decent number of kids who vape) are vaping thc. The concentration level they ingest are greater than smoking and are less detectable. Vapes have evolved pretty quickly over the past few years. What were once clunky contraptions are now light, compact and can easily fit into a pocket or sleeve without detection. Most emit a light odor of fruit that is here and gone. It’s difficult to figure out where it has come from. The newest type of vape to hit the market? The juul vaporizer, which was designed to look like a usb flash drive. It’s small, compact, and indiscrete. With the overwhelming demand, there are plenty of vape pens on the market that are not of high quality. When you’re a kid, often funds are low and impulse is high. Not a good combination. We have kids purchasing sub par quality vapes. The negative? When low quality vape chambers are heated ,small (not visible to the eye) shrapnel of metal or plastic can be ingested. There’s homemade or ‘bootleg’ juice being sold and marketed on Snap Chat and Instagram. No one that is producing these products has our kid’s safety or health in mind. I believe within five years we are going to see an explosion of medical issues that directly correlate with vaping. It’s frightening. The frequency of vaping along with what they’re ingesting is concerning. This is a great topic to chat about with our kids. What are their thoughts on vaping? Are they vaping? If so, what are they ingesting? It’s not about pointing fingers, but educating our kids who truly are ill equipped for what’s being put their way. They are being lied to by corporations out there to make an easy buck off our kids and who have no regard for our kids’ welfare.